The north shore of Oahu is one of the most picturesque and beautiful locations in Hawaii. Apart from being a popular tourist location, it is also home to a number of adventure sports and cultural activities. Whether it’s a beach house, a condo or a house overlooking one of the many lush forests, owning a home on Oahu’s North Shore is a matter of pride. With recession and prominent financial crisis, and the real estate bubble which recently burst, property prices have gone down. But over the past few months, they have been stabilising. Despite this, the number of buyers is increasing as they can obtain better prices and bargains. Since the stock market is highly volatile, investors are turning to the real estate market to invest. 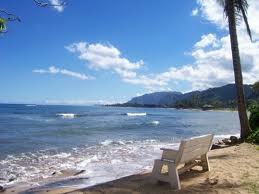 Hence, there is no better time than now to buy a property in the north shore of Oahu. 2010 saw a rise in property sales. This is a welcome change for the Hawaiian real estate market. There is a sign of consumer confidence in Hawaii real estate, which will only lead to an increase in property value. With inputs from Mortgage Bankers Association of Hawaii and The Hawaii Association of Mortgage Brokers, comprehensive statistics on the current mortgage rates have been compiled by the Honolulu Board of Realtors. Although these vary from lender to lender, they are largely based on $200,000 owner-occupant, 20 per cent down mortgages. The interest rates vary from 2.750% (Wells Fargo Home Mortgage) to 3.375 %( Savvy Realty & Loans) for 15 year terms of fixed type. For 30 year fixed terms, the interest rates vary from 3.790% to 4%, which are offered by a range of banks and lenders. For 5 year, adjustable rate mortgages (AGM), the interests rates are from 1.875 %( Wells Fargo Home Mortgage) to 4.250 %( Territorial Savings). In comparison to 2009, 2010 saw a change in property sales by 15.4%. The total number of sales recorded was 6,985, as compared to 6,052 in 2009. August 2010. According to the indicator of Days on Market, with homes listing for 31 days, single-family homes sales closed at a faster pace than August 2010. Sales of Condominiums, however, listing for 41 days, closed at a slower pace compared to August last year. This positive trend in property sales is a ray of hope for current investors and buyers in the immediate future. For single-family homes, the average sale price was $ 712,251, in 2010 as opposed to $ 684,341 in 2009, a change of 4.1%. For condominiums, the average sale price increased from $ 3 46,103 in 2009 to $ 3 59,151 in 2010, a change of 3.8%. Median sale prices increased by 3.1% for single-family homes and 1% for condominiums. In August 2011, although there was an increase in sales, there has been a dip the property prices. For single-family homes, the median sale price was $557,500. For condominiums, the median sale price was $300,000. Compared to August 2010, this is a decrease of 13.1% for single-family homes and a decrease of 1% for condominiums. Although these decreases in costs are a cause for concern, it is to be believed that an increase in sales would, in the long run, increase the value of the property. As with any other locality, there are a number of popular realtors and brokers offering a wide range of prices, and deals. For background information of registered realtors, the Honolulu Board of Realtors can be contacted. As with any property buying, do your research, of the property and the realtor you wish to go through and take a wise decision for a home in the picturesque north shore of Oahu.